The LMSA Zephyr Newsletter is a monthly publication distributed to subscribers. This is the best way to keep up with what is happening at the association, with regular reports on board meetings, facilities improvements, races, social events, sailing instruction and important news from our Facilities Manager. Back issues are available to subscribers. 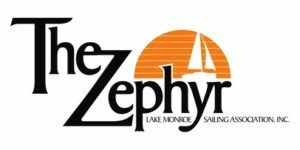 The Zephyr is open to anyone interested in sailing on Lake Monroe, so join the newsletter mailing list by subscribing today! Current LMSA members periodically receive special issues of the Zephyr, which may include Board of Directors announcements, information regarding the association or other topics, as needed.